You gotta love a fresh Bike Check with a few unseen prototypes, right? Here’s a look at Jabe Jones‘ current Subrosa Noster S setup that he’s been putting in work on down in Florida! The bike features some prototype Subrosa Griffin grips and Subrosa tires with the new Blood Splatter colorway. You can check out a bunch of photos and a full parts list over on the Subrosa website now! What do you think of Jabe’s bike? Are you digging it? Let us know what’s on your mind in the comments below! Subrosa have added Bjarki Hardarson to their team! Here’s his official welcome video that’s jam packed with amazing riding that makes it real easy to see just why Subrosa added him to the team! If you’re looking for some wild grinds, Bjarki’s video is for you! Expect to see plenty more of this guy in the near future, too! “Bjarki [ Ba•Jar•Key] Hardarson comes from Iceland, but frequently visits and stays in Florida for school. He been crushing it at jams and events around here for years, and has been repping Subrosa hard while doing it, so we wanted to make it official and we added him to the team at our Christmas Party. He was stoked to produce a welcome edit and it shows! Bjarki kills spots from Orlando and Atlanta and everywhere in-between. Check out the edit, and look for more from Bjarki because he’s just getting started. The Shadow Conspiracy and Subrosa‘s connect over in Russia, Artem Agarkov coming through with a fresh video packed with dialed riding. Artem lays down some heavy drops, cooked up some wild grind combos and brought plenty of nose balance with this one. Check it! You won’t be disappointed. “You’ve probably seen Artem climbing the ranks at big contests like Simple Session and others around Europe. What you might not know is not only does he kill it in park, but he loves street riding too! In his latest edit he hits the streets of Russia and found some amazing spots. Artem unleashed his smooth, very technical side of riding and mixed in some serious hammers. Here’s some news we didn’t see coming. 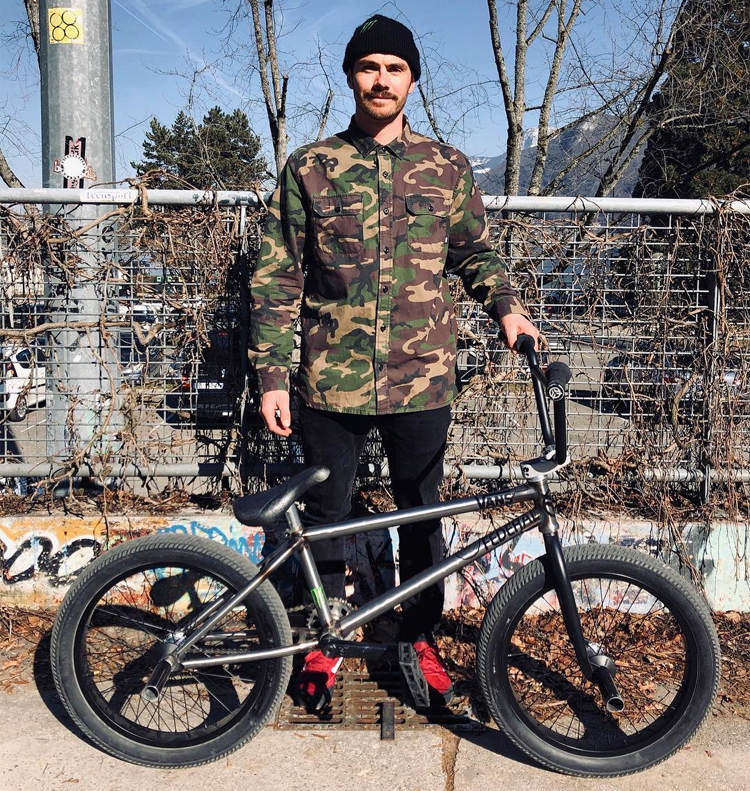 It looks like Kevin Kalkoff has decided to part ways with Subrosa and The Shadow Conspiracy and is now riding for Federal Bikes! No word on what sprung the decision, but Kevin mentioned on Instagram that he’s happy to be riding for Federal, so that’s good. We will be interested to see if Kevin will be able to start filming for the new “FTS” video the Federal team have been working on for a little over a year or so now, in time to get something together for the final video. Either way, Kevin shreds so we’re excited to see what this new opportunity brings for him. Get a look at the new Rose Upload Stem from Subrosa Brand! Are you on the hunt for a new top load stem, but you aren’t looking to break the bank in the process? Subrosa have released their new Rose Upload Stem for you to get your hands on. This stem is cold forged and CNC machined from 6061-T6 alloy with an embossed Subrosa logo on the side and a rose on the top plate, a 48mm reach, 36mm rise and 29.5mm stack height. The stem has a 50mm width for increased strength, a recessed top for a flush fork compression cap and oversized heat-treated chromoly bolts to keep it all tight. The Rose Upload Stem is available in Black, Polished and Camouflage Splatter with a weight of 11.9 oz. and a price of $41.99 (Black / Polished) – $56.99 (Camo). The Rose Upload Stem from Subrosa is available through BMX shops and mail-orders that carry Subrosa worlwide now! You can learn more about the stem and Subrosa by visiting their Website! Get a look at Artem Agarkov’s current Subrosa OM setup! Here’s a fresh video Bike Check with Subrosa and The Shadow Conspiracy‘s connect over in Russia, Artem Agarkov. This video is in Russian, but luckily BMX is pretty universal so you can get a look at his bike, and a full parts list below, along with some riding clips! Looks like a dialed unit to us! Check it out!